Conservation Northwest has long worked to protect, connect and restore habitat and wildlands in Washington’s Central Cascades. 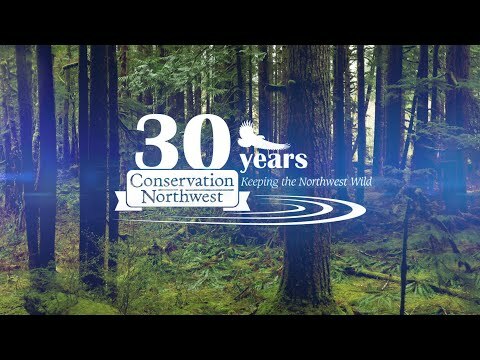 From 2000-2004, we spearheaded The Cascades Conservation Partnership (TCCP), an innovative collaborative project that raised nearly $16 million in private donations and $68 million in public funds to protect nearly 45,000 acres of forest lands from logging and development. Nearly 17,000 people made it happen. Lands we protected ranged from the Cooper River north of Cle Elum, to Snoqualmie and Stampede Pass along I-90, to Manastash Ridge southwest of Cle Elum and Sawmill Creek in the Green River watershed. The Partnership protected 60 square miles of forest, rivers, and trails, from Cle Elum to the Green River watershed. The lands are now protected as public lands managed largely by the U.S. Forest Service, enhancing a wildlife corridor linking the Alpine Lakes Wilderness Area to Mount Rainier National Park. The Partnership’s mission in acquiring new public land was always twofold, protecting lands for public recreation and protecting wildlife habitat. Thanks to the support of thousands of people through this innovative and effective partnership, lands on both sides of Interstate 90 now feature old-growth forests, critical wildlife habitat, and well-loved hiking trails. Another remarkable coalition is building off The Partnership’s work to protect a thriving wildlife corridor. Thanks to our I-90 Wildlife Corridor Campaign, which includes the I-90 Wildlife Bridges Coalition, two new underpasses under I-90 at Gold Creek are constructed and being used by wildlife. Check out our latest initiative in the Snoqualmie Pass area, the Central Cascades Watersheds Restoration program!